Many people have told me how good Brooklyn is, and that I should read it, as the theme of a girl moving to America by herself has many a similarity to my own recent experience. As such, I have kept it on my radar, but it was only when my good friend who hasn’t read a book in a year waxed lyrical about it last week and lent me her copy that I thought I should probably read it asap, as it really does take something truly special to make her sing a book’s praises! I plunged into the pages of Brooklyn during a dull bus trip to Washington D.C., and I was surprised by how drawn in I was. It’s not a spectacularly written, literary novel; there are no striking turns of phrase, no lyrical passages of prose that leave you breathless. However, it is an engaging tale of a young girl who rises above the circumstances of her impoverished childhood in a dingy back street of a nondescript postwar Irish town to seek a new life in the bright lights of Brooklyn, and the twists and turns that greet her on her path to independence. Read straight after The Group, it raised many similar points about choices and disappointments and disillusionments as the teen years merge into the twenties, and I enjoyed it immensely. Eilis (pronounced AY-lish to those of you not used to Irish names!) Lacey lives with her widowed mother and older sister in 1950’s Ireland, in the bustling village of Enniscorthy, where everyone knows everybody’s business and the same families have lived in the same houses for generations. As cosy and comfortable as Enniscorthy is, there are few opportunities to ‘get on’ in life, and no work for girls like Eilis. Eilis’ brothers have already left for England, where jobs are more widely available, and thirty something spinster Rose largely supports the family through her wages. Eilis is clever, and is studying to be a bookkeeper alongside working in the local grocery shop. Her world is small, but she has friends and family and dances on a Saturday to keep her busy, and the thought of leaving little Enniscorthy never crosses her mind. Rose, however, has other ideas. She arranges for a family friend, Father Flood, who has already emigrated to Brooklyn and has a flourishing parish there, to find Eilis work in America, and give her the chance for a more colourful life. Eilis doesn’t really get a say in the decision; Rose and her mother have already decided for her, and before she gets a moment to catch her breath, she is on the boat to America, set for a new start, miles from anyone and everything she knows. In Brooklyn, Eilis moves into a boarding house run by the rather difficult Mrs Kehoe, and populated with an assortment of Irish and Italian-American girls. She starts work at a department store on bustling Fulton Street, and kind Father Flood arranges for her to take evening classes at the local college so that she can complete her accounting exams. Brooklyn, despite being filled with Irish immigrants, is a completely alien environment to Eilis, and she struggles at first with terrible homesickness and culture shock. Her life, split between the shop and college and her dingy bedroom at the boarding house, is not the glamorous, exciting existence America promised to be. It is only when she meets Tony, a charming Italian-American boy, at a dance that colour seems to come into her life, and as she gets on with her classes and gets noticed at work, and more and more opportunities for growth and change come her way, Brooklyn becomes the land of promise Eilis was told it would be, and Ireland seems years away. However, shocking and tragic news from home shake Eilis’ new foundations, and she has to make the decision of whether to go back or stay. Torn between her new and old lives, Eilis will face the difficulty of choosing which life she wants; one of familiarity and ease, or one of challenge and opportunity. Most troubling is that both can bring her happiness, in their own ways, and realizing that there is not one way forward, that life is not black and white, and that she has to take responsibility for her own future, will be the making of her. Eilis’ experiences in Brooklyn were fascinating to read about. The ethnic tension between immigrant communities and negroes, still segregated, was touched upon, and gave an interesting context to the Brooklyn I know today. I laughed knowingly at the description of Eilis’ struggle to cope with the brutal New York winter compared to the more temperate winters in Western Europe; how well I know those icy winds that make you feel you’ll never be warm again! Most touching for me, though, were the descriptions of Eilis’ feelings of homesickness and guilt at leaving her mother and her sister behind. I could fully appreciate her moments of feeling terribly lonely and miserable, and wondering why on earth she had come so far from home. Missing the sound of people’s voices, missing the feel of my nephews, heavy with sleep, in my arms, missing nights out with my friends, long chats with my mum and sister over a cup of tea – simple things, but painful nonetheless. No matter how exciting pastures new may be, looking back at what you have left behind makes you appreciate things you never bothered to notice before, making you feel guilty that you didn’t make the most of them when they were at your fingertips. Eilis’ confusion about who she is and what she wants and where she belongs was also very poignant. As my time in New York comes to an end and I must face going ‘home’, to a place that isn’t really home any more, I feel just as she did as she contemplated returning to Ireland. I miss the people I love in England, and I miss London, and I miss being at home in a culture that is unthinkingly a part of my very being, but when I think that the lights of New York won’t be surrounding me anymore, that the wonderful friends I have made here won’t be a subway ride away, that the energy and the passion and the sheer oddity of New Yorkers will no longer be a part of the rhythm of my life, I recoil in terror at the very idea of having to leave all of this behind. Unlike Eilis, I don’t have a choice of where to make my life; I have a year’s visa and after that I have to go back to England, but I know what it feels to like to be torn between two places and to know you could have an equally good life in both, but a type of good life that would be worlds apart from the other. Which to choose? Which way to go? It’s a conundrum indeed. 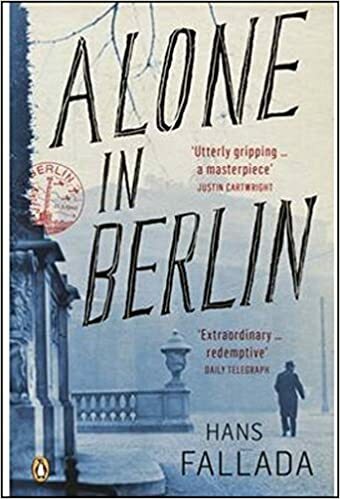 Brooklyn is not a superb novel; there is much more that I felt Colm Toibin could have done with it, and the simplicity of its prose was not anywhere near as skilful in its sparseness as, say, Richard Yates’. I read no genius in this slim volume, but I did read a lot of heartfelt wisdom, touching portrayals of the sacrifices people make for those they love (reading about Rose’s life will make you cry), and a very realistic depiction of the emigrant’s plight, and for that, as well as the gentle, ordinary character of Eilis, I would recommend it highly. I finished this book last week and it will definitely rank as one of my top reads for 2011. The ending was especially captivating for me, and I was happy with the decision Eilis made. I’m glad you enjoyed it as well. I agree – I was worried Eilis would go the other way and I was pleased she made the decision she did. I’ve never read Colm Toibin but he’s one of those writers that always seems to be on my radar. I’ve also heard great things about The Master which is supposed to be about Henry James — not one of my favorite writers but it still sounds really interesting. I know that feeling of falling in love with a place and having to leave it — I’ve moved to six different places since my husband joined the military 16 years ago, and every time it’s hard. The worst was leaving Japan since I don’t know if I’ll ever get to go back, which breaks my heart. I can’t imagine living in New York and having to leave it. Wish I could be in two places at once! I would be interested in reading more of his books to get a better idea of his style. As I said his writing didn’t come across as being anything special in Brooklyn, so I think I’d need to read something else of his before I made a judgment on what I think of him as a writer. I’d hate having to pack up and leave so frequently, Karen. You have got to live in some fantastic places, though, I am sure, which I hope makes it worthwhile. There’s nothing worse than knowing you have to leave somewhere and you have no choice – it makes the place even fonder to you, I think. Being in two places would be much preferable – I’d love to split my year between New York and London! Oh, for riches! Oooh I’m so glad you read this. It is hard to read a book that everyone waxes on about as you may be disappointed when you finally get round to reading it. Brooklyn was my first Colm Toibin and I thought it was fantastic. His description of homesickness was the clincher for me. I don’t think anyone else has got it so right. I wish you well for your return to the UK and hopefully many opportunities for you to return to your friends in the States when you can/wish to do so. Yes, I must say I was expecting to be blown away after all the hype – maybe that’s why I was a little underwhelmed. His descriptions of homesickness ARE very spot on though so I did enjoy that aspect very much. Thank you very much! I have a few months yet and I am currently in denial that I have to leave – this strategy seems to be working ok so far! Rachel, you have once again captivated me with your review of Toibin’s book. I must admit to not having heard of it before seeing it shown as your current read this past week and now it’s title is standing in line along with many other “to reads” that I hope to get at soon. This also brought to mind my immigrant grandmother who always longed for Greece yet made a life here and loved her adopted country with a passion. She, too, had no choice in whether or not to immigrate or, for that matter, in who she would marry. You also made me curious to learn not only about Eilis, but, about Rose as well. Your perspective has been so enlightening to me these months you have been in New York and your “Read America” challenge and you bring such fresh eyes and ideas to how I look at my homeland, and your dear country as well. Oh, thank you Penny. I’m glad I’ve convinced you to read it! How wonderful that your grandmother embraced her new life and that you got to benefit from her rich cultural heritage and love of her home country. Penny you are too kind – I’m glad I have been able to communicate something of the America I have seen and that it has touched a chord in people. That’s the highest compliment I could possibly receive! I’ve been meaning to read this, specially as I am going through a phase of New York literature. Love your review – and am even more tempted to read this book now than I was originally (when I saw it on the Booker Longlist back in 09). I think I can relate to parts of the story, specially about leaving home and despite the new life being exciting, there’s always ambivalence as you think about what’s been left behind, and how you didn’t make the most of it… and couple that with thinking of your family and friends that are back home, and how the distance makes the heart grow fonder (sorry for the cliche), while simultaneously, you tend to drift apart, even if it is completely inadvertent. Such if life though. I really should pick this book up – considering I’d love to live in New York for a few years…. It’s definitely a good book to read to understand the melting pot nature of New York – you don’t get much of a feel of Manhattan as Eilis rarely goes there, but for the spirit of New York, definitely read this! Yes – life takes us down some interesting paths, and looking back there is often that feeling of things you could have done differently, or experiences you wish you had treasured more – I had the same feeling when I left home and wondered whether I had really appreciated the safeness of childhood and the home my parents had made for me. It’s a shame hindsight makes us so wise after events and not before! Everyone should live in New York for a few years – it’s my firm belief and I advocate it with all my heart! Rachel, you should know that your open affection for my country has been so, so heartwarming to read about. Jenny’s love for London and yours for New York makes me wish we could arrange biannual swap-arounds. I’ve been reluctant to read this one – I’m a little tired of emigrant stories – but I think I may give it a try now. Thanks for the heads-up on Eilis’s pronunciation – Irish names are unfailingly bewildering to me! Siobhan, really? Saoirse, for real? Oh Mumsy! You’re so lovely! Well, Jenny better be coming to visit me, and I shall be back to visit her, so maybe together we’ll work out a way to have the best of both worlds! Yes – emigrant stories can be a bit of a yawn-fest after a while, but this avoids the cliches and makes it a bit fresher, somehow. I think you’d like it. Ha! I know – when I worked out that the ‘s’ was a ‘sh’ sound, so many names became clearer to me! They’re the easy ones … wait till you meet a Caoimhe, and there’s lots of them around! I really loved this book. It was one of my favorites of 2009. I think I liked the writing more than you did. I’d been in a phase of reading more complex prose, and I found Toibin a breath and fresh air, and the writing also seemed to suit the era so well. I’m curious as to what more you were hoping he could have done. I only ask because I was really impressed at his restraint and how he focused so intently on one woman’s experience without needing to make statements about any big issues of the time, but only to refer to them. Yes I think the simplicity of the writing style lent itself very well to the story he was telling, but it did just feel a little too simple to me. At several points I just felt like shrugging and saying ‘So what?’ – there wasn’t anything remarkable about it, to me. Eilis wasn’t a particularly special girl, which I suppose was part of her charm, but I couldn’t understand why she had been picked out for special treatment when she showed no particular promise, and her personality didn’t intrigue or attract me. It was just a bit humdrum for my liking – I was expecting something very perceptive and lyrical, but it just felt distinctly average to me – good, nonetheless, but just average. Perhaps I am being too harsh a judge! I’ve picked this book up and put it down again even though it was one of the three-for-two offers in Waterstones. Now you’ve made me want to read it. I’m sure you’d enjoy it, Nicola – it’s a quiet read and perfect for the summer months when concentration is low! I’ve never had the experience of living in a place not only radically different but also completely removed from my home. I was born in raised in the same state, went to college less than 40 minutes away, and have plans to move in to a home with my boyfriend right back in the same town, not too far from my (or his) parents’ house. By all rights, I should probably feel suffocated and sheltered. But I don’t. I love my home, my family, and while I have plans to see much more of the world than I have, I know my roots are here. I have to say that I admire your strength and adventurousness in being willing to move to a completely different place, a completely different life. The novel sounds absolutely wonderful for the same reason – plus, as the great-great-grandchild of Irish immigrants, it’s always great to read more about those experiences – but perhaps my favorite part of this review was hearing just your experiences. Thanks so much for a great review and a wonderful post. I wish I didn’t have such itchy feet, Chelsea – your life and your plans for the future sound wonderful and so rich, and I’m sure they will bring you much happiness. You’re very much like my sister – she’s never strayed far from home and she loves being near my family, especially now she has children of her own. As much as I love my family and the feeling of having roots and belonging in a place, I also love the adventure and challenge that comes with moving around, of starting again, of meeting new people and seeing new places and the challenge of having to reestablish a base and a routine and a lifestyle – it keeps me constantly reassessing, paring down, changing, becoming more tolerant and open, etc. I can’t be stagnant for too long – I wish I could be more content with stability. An adventurous, restless spirit can be a curse! I enjoyed this book and listed it as one of my top ten of 2010. Though essentially a simple story where nothing much happens, Toibin made it quite riveting and yes I agree that for anyone that’s ever been far from home…so much of Eilis feelings of homesickness rang true. Yes, I think the chief pull of this was Toibin’s depictions of homesickness. They were so true to life and I was also very moved by the family relationships and griefs. Very well done! You’ve written a wonderful review, Rachel. I’m not interested in the book enough to read it. But I so loved the connections you made between the book and your experiences. The part about going home to a place that isn’t your home anymore was heart-wrenching. When I was your age – well, a bit older – I got all the information about moving to England. Tom and I read books and pamphlets trying to decide what to do. Ultimately we were stopped by the quarantine laws for animals that were then in place. We settled into our lives here, and visited England twice more. It will be interesting to see how you feel when you actually return. You have so many friends now from all over the world who connect with you via your blog who are there no matter where you live. We care, and will be here to support and encourage you whereever your path leads, Rachel. Maybe not London, but another area – Edinburgh sounds nice; Oxford, Cambridge, Windermere? My heart leaps just at those names. Thank you Nan, you’re so kind and lovely, I appreciate that! How interesting that you almost made it over to England full time…what a wonderful life you could have had in the English countryside! Though your spot in New England is as divine as I could possibly imagine! Well yes, we will see. I shall not settle for long, wherever I end up – I am currently thinking of perhaps Europe…so I could be broadcasting from Paris this time next year! I shall cherish the support and advice and interest I get from the lovely people who read my ramblings wherever I go! I read this quite recently and really liked it a lot. I can relate to the idea you mentioned about being able to create a different kind of life for yourself in different places (mainly because I chose where to move to in my early twenties more-or-less at random!) and it’s something the book made me think about as well. It must be especially interesting to read this book having moved to New York yourself. PS I am a big fan of Richard Yates too – I obviously just like that understated writing style! I’m glad you enjoyed this and related to this as well. I think it’s a great book to read when you’re in your early twenties and still making decisions about how and where you’re going to live your life and facing upheaval and change. Eilis’ story shows it’s survivable and that you can be happy outside of what you already know, which I appreciated. It definitely struck a chord with me! I’m so pleased to find another Yates fan! I wish more people would read his work. I actually just finished reading this book yesterday and I really enjoyed it. I agree that the writing style was nothing special but I liked the characters and the story grabbed me from the first page. I haven’t had the experience of moving to a different country, but there were still parts of Eilis’s story I could relate to. What a coincidence! I’m glad you enjoyed it and were grabbed by it too – it’s a gentle story that’s quite inspiring in its own way I think, though not earth shattering as some books can be! Sounds like a custom-built story for a young lady like you on a train ride. It will be interesting to see how long it takes you to settle back into London life. The good news is you have made some new friends in New York and it’s just a plane ride away! It does, doesn’t it? I certainly related to it very strongly and it made me think a lot about my own experiences. I know – I am nervous but I have a few months yet to prepare myself! Exactly – New York will always be my second home and I will come back very regularly! When I was younger I longed to go and live in America. It didn’t happen, other things did, and I’m perfectly happy where I am. That’s one of the joys of books, they allow you to explore paths that you didn’t take. Brooklyn was already on my TBR list, I’ll move it up a bit now. It’s interesting the paths life takes us down, isn’t it? I’m glad you’re happy where you are now and that you don’t regret not going, but still I can see that it would be fun to read about Eilis and imagine what might have been! I hope you get around to it and enjoy it! I felt much the same after reading the book, although you say it so much more eloquently than I ever could. It certainly didn’t make it into my favourites list, I’m unlikely to want to read it again (have already passed on my copy to the charity shop) but it was enjoyable enough. And I know what you mean about poor Rose. Oh thank you! Well I’m glad you liked it, though yes, it’s not something I think you can be overwhelmed by. It’s not a ‘keeper’ but I am glad I read it nonetheless! I just found your blog and love it. Has anyone suggested that you read “The Egg and I” by Betty MacDonald? She was an American author and published this hilarious memoir in 1945. She lived for a time after her first marriage on a very remote chicken farm in Washington state. It is kind of a cult classic and the West Coast-perspective would make a nice counterpoint to the New England and Midwestern writers that you have on your list. Judging from what I can gather are your sensibilities, based on your book choices, you might really enjoy this book. And thank you for your excellent reviews! Oh, thank you Cindy! I have heard of The Egg and I – I think my sister has it at her house and I may have leafed through it once or twice. I shall definitely seek it out on your recommendation, and thank you for reading! Hi there – loved your review of Colm Toibin’s Brooklyn. Would any of you like to put a question to Colm Toibin about this book? BBC World Book Club on the World Service is interviewing him on 6th July and would love to hear from you. If you could email me at World.Bookclub@bbc.co.uk as soon as you can with a question about the book (anything – doesn’t have to be particularly clever! ), we can either arrange for you to talk to Colm Toibin himself, or have our presenter put your question to him for you. Then you get to hear your question on BBC World Service Radio. The programme will air on 6th August at 11.00hrs on the BBC World Service. Please do get in touch.